Vivienne Westwood MAN Krall Stretch Floral Stripe Blue. A versatile and timeless addition to your everyday staples, the Krall Stretch Shirt features Vivienne Westwood’s instantly recognisable stately three button collar. 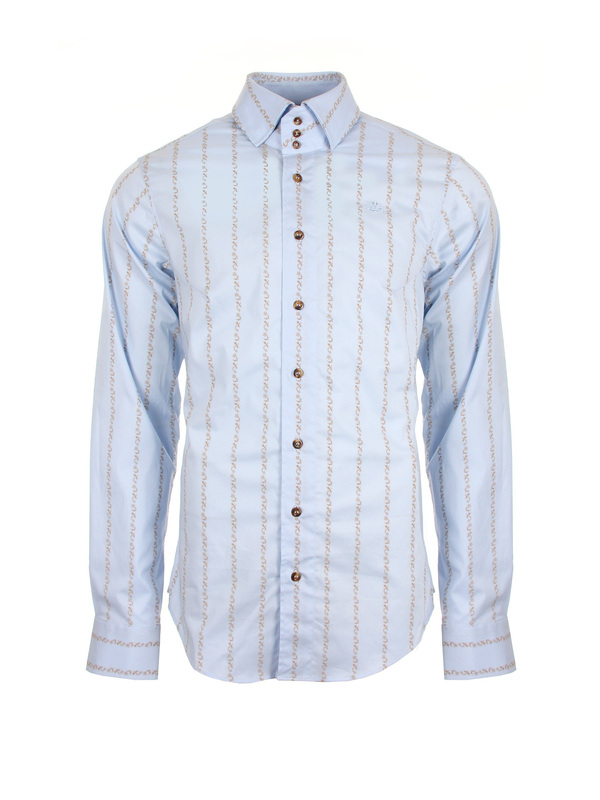 Adorned with beige floral stripes on a sky blue base, the Krall Stretch Shirt comes crafted from fresh cotton poplin lightly blended with elastane for added stretch. Designed for a flattering slim fit, this shirt is finished with the Westwood Orb emblem embroidered to the chest in tonal hue.